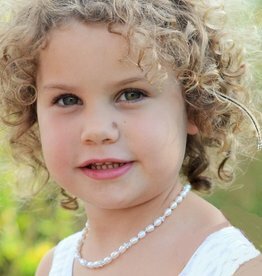 Necklaces for Children that will Make them Shine! 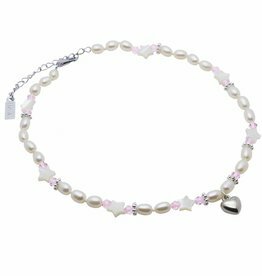 Complete her outfit with a classic pearl children’s necklace. 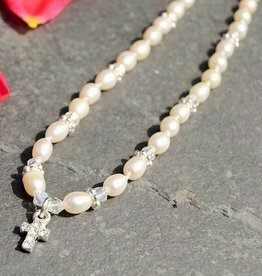 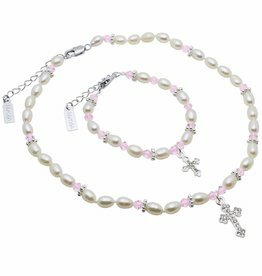 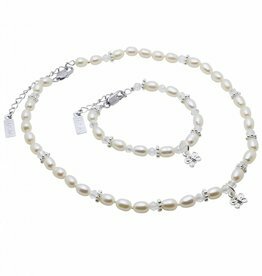 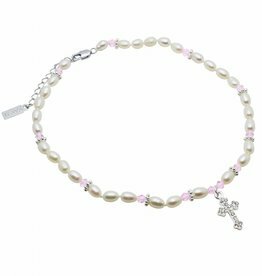 Our necklaces for girls are made of the finest freshwater pearls, each one hand knotted on strong silk for extra strength. 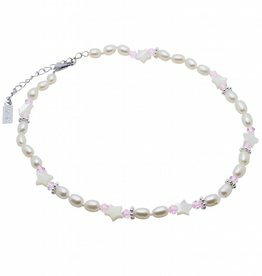 Our children's necklaces start at £23.95, that's why this necklace is one of KAYA's bestsellers! 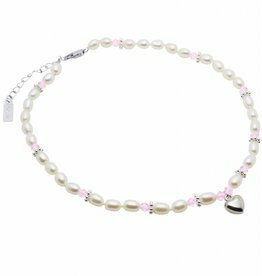 All of our girls' necklaces have a 4cm extension chain so they will fit your girl perfectly. 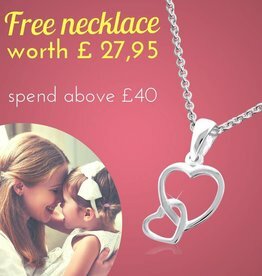 Spend above £40 and you receive this necklace for Free! 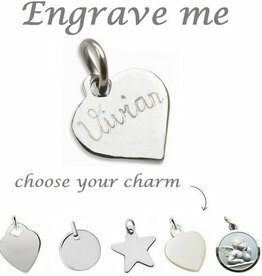 Made of 925 silver, a timeless classic , suitable as a gift for many occasions. 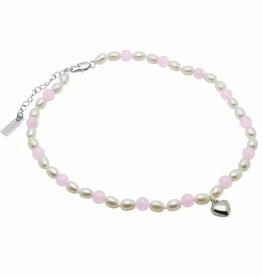 Kaya also makes lovely jewellery sets for children consisting of a necklace and a matching bracelet. 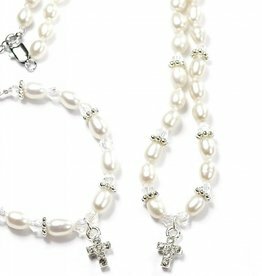 These sets are perfect for a wedding party with your little girl or for her First Communion or Confirmation ceremony. 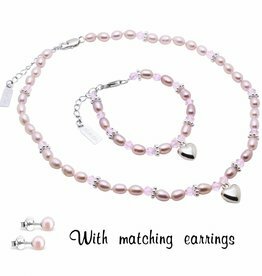 If you are looking for a set consisting of two necklaces; a girl's necklace and one for yourself, then look under Mum & Me necklaces. 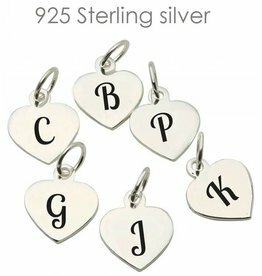 KAYA cares about every aspect of gift giving, including the presentation. 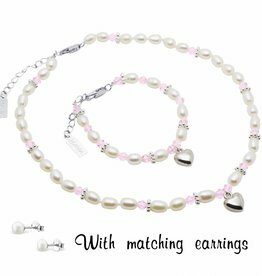 That's why we deliver your jewellery in a luxury gift pouch with pink bows. It will make your girl so happy when she receives this gift. 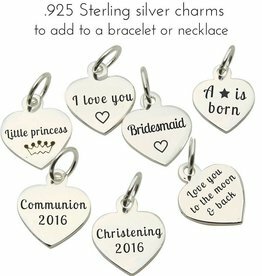 You will also get a complimentary silver polishing cloth so your darling girl can polish her necklace and it will look as good as new every time!